One of the F-35's most interesting features, at least on paper, is the jet’s helmet. It is so deeply integrated into the aircraft’s sub-systems that it even gives its wearers something akin to x-ray vision. But much like the F-35 itself, the helmet and its integration have been mired in developmental issues. Now the third generation of the helmet has been delivered, which hopes to solve some of the prior generations’ issues. 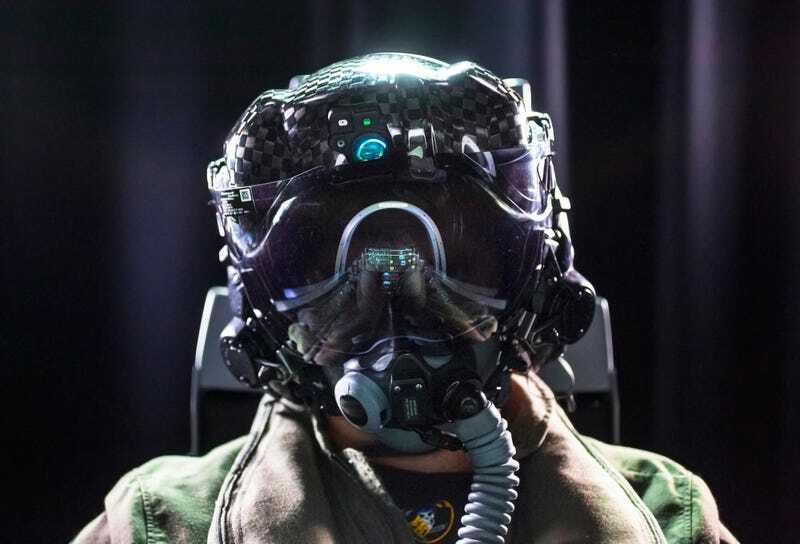 The new version of the F-35's helmet, also built by Rockwell Collins and Elbit Systems, improves on the deficiencies of the second generation system, which proved to be far less capable than what was originally envisioned. The second generation helmet had major issues with night vision acuity, buffering, display jitters and, especially, latency issues when the aircraft’s Distributed Aperture System was feeding the helmet its imagery. The problem was so large that a fallback was procured in the form of a less complex helmet mounted display system. But the initiative was recently cancelled as hopes that the generation three helmet will be make an alternative unnecessary. You can watch an F-35 pilot’s review of the generation two system here, and as you can see, many of the functionalities that sounded so exciting originally just didn’t measure up. Each helmet costs roughly $400,000 apiece and takes many hours of custom fitting for each pilot. The high cost prompts the question of just how many times would new helmets have to be bought and fitted before the system performed as promised. Would the hardware on the aircraft have to be changed in the process? It’s all especially concerning, considering production of F-35s is already nearing 200 units, and its pilot corps is rapidly expanding. Other helmet-related issues remain. In a notoriously damning test report regarding the F-35's dogfighting capabilities, it was noted that the bukly helmet is a major obstruction to the pilot when they simply tried to look behind them. The F-35's ejection seat is troubled as well, and pilots that weigh under 136 pounds are prone to snap their necks upon ejection. This is in part due to the complex helmet’s additional weight, although there are hopes that the third generation helmet, which is slightly lighter than its predecessors, will be part of the cocktail of measures that will be in place by 2018, so that the restriction can be lifted. One solution being considered is to simply lighten the helmet, by reducing the straps and removing the external visor. But even then, full implementation is still more than a year away, Defense News reports. The USMC actually went ahead and declared initial operational capability (IOC) for the F-35B with the second-generation helmet, although that is not surprising considering the other deficiencies that were simply brushed aside so that they could call the jet operational on paper and for public relations reasons. It is also wort noting that America’s actually operational front-line fighter, the F-22 Raptor, still has not been outfitted with any type of helmet mounted display at all. The F-22 was declared operational over a decade ago.